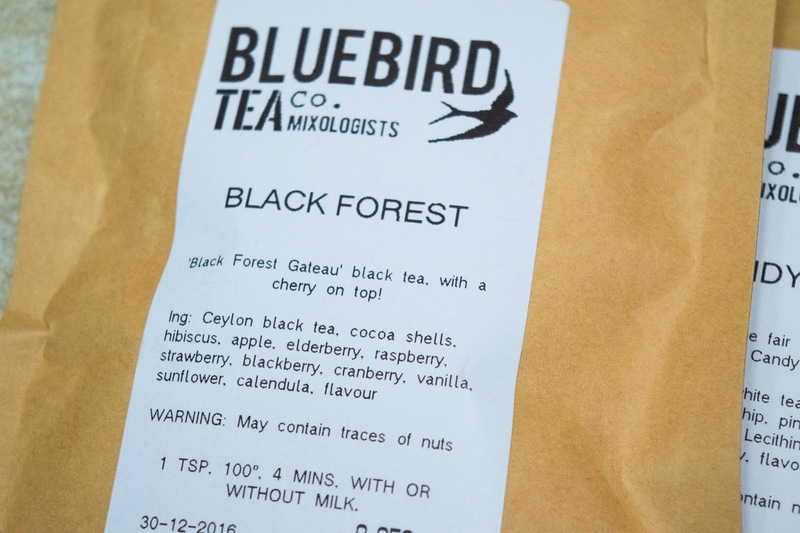 Ramblings of a Jaffa Cat: Bluebird Tea Co.
Those that know me well (and probably those that don’t!) will know how much I love tea. Whether it’s a simple cup of English Breakfast or a delicate blend of mint or jasmine; I’m one of those people that believes everything can be made better with a good cuppa. If you’ve been reading my blog for a while, you might remember I did a series of posts looking for the perfect cup of tea (you can find the posts here, here, here and here if you’d like to read them) a while ago, and since then I’ve continued to explore the massive range of teas available. 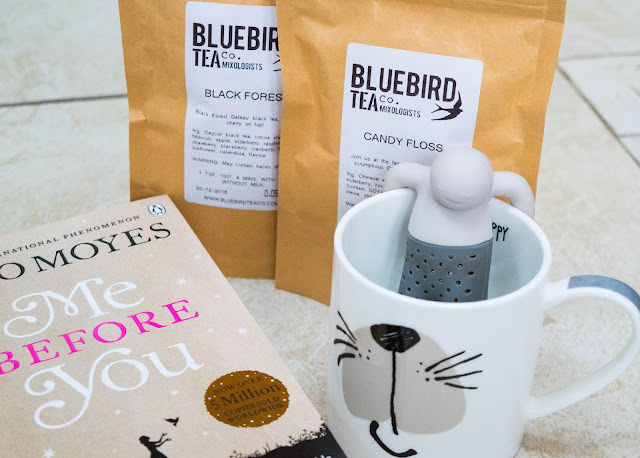 One brand I was particularly excited to try was Bluebird Tea Co, after seeing lots about them on the lovely Carrie’s (used to be Carrie Brighton, but you can now find here at One Pleasant Day) blog and Instagram. They actually have a couple of cafes, but unfortunately neither is anywhere near where I live. So, the next best thing was to order some of their teas to try out at home. When I started browsing through their website, I was overwhelmed by all the exciting flavours they have on offer. The next problem was how to choose which ones to put in my basket! Luckily they offer 20g sample pouches of most of their teas, so I decided to treat myself to a whole mixture and see which were my favourites. 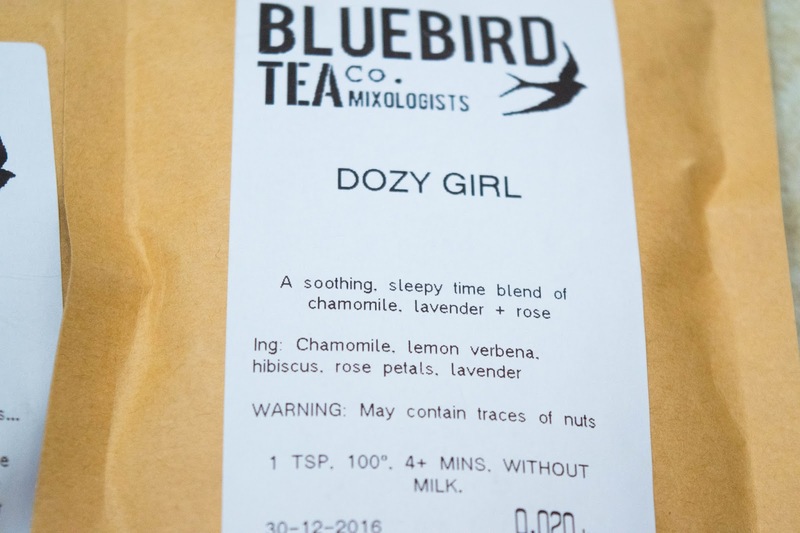 Dozy Girl is the perfect blend of chamomile, lavender and rose to help you have a restful night’s sleep. I’m a big fan of chamomile tea in general, as I always find it helps me relax and chill out after a stressful day. I love the fact this one has a twist to it with the added flavours, and Bluebird have branded it ‘a miracle in a cup,’ which isn’t far off! Terry’s Tea is the ideal healthier alternative to a chocolate orange (though it would taste awesome having both!) It really does smell and taste like a chocolate orange, which is one of my most favourite things ever. With chocolatey cacao and fruity orange peel, this black tea is a great sweet treat to quieten those sugary cravings. Birthday Cake gives you the opportunity to pretend that every day is your birthday, although those around you may get bored of joining in after a couple of days! 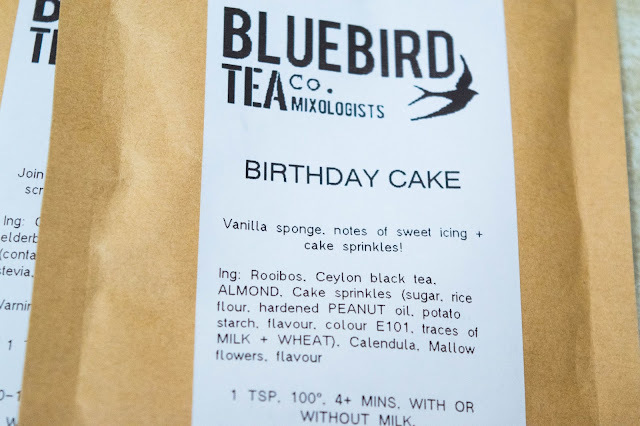 This is another black tea mixed with Rooibos, almond pieces and mallow flowers. It even has little star-shaped sprinkles, just like a proper birthday cake! Unfortunately this one contains wheat, which I’m trying to avoid for medical reasons, but with so many other teas to try I don’t feel too sad. Just as an aside – with these being loose leaf teas in funky flavours, I would recommend checking the ingredients before you buy if you’re allergic to anything. They are all very clear and easy to find though underneath each tea on the website. 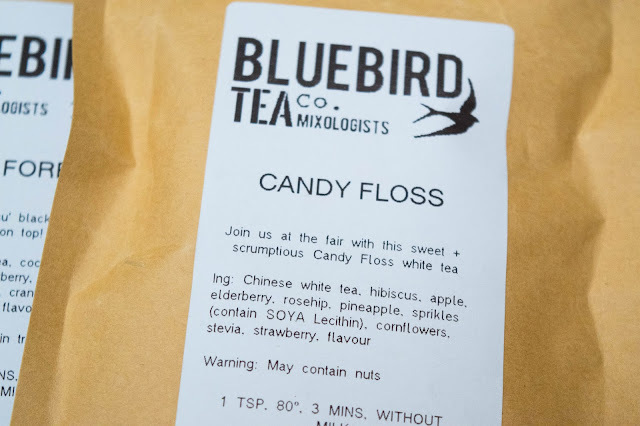 Candy Floss is one of my favourites so far, but I’ve had a look on the website and they don’t seem to sell it any more, which is a real shame (although there are still so many other flavours to try and they’re always coming out with new ones). This tea really does smell like a day at the funfair and tastes amazing. 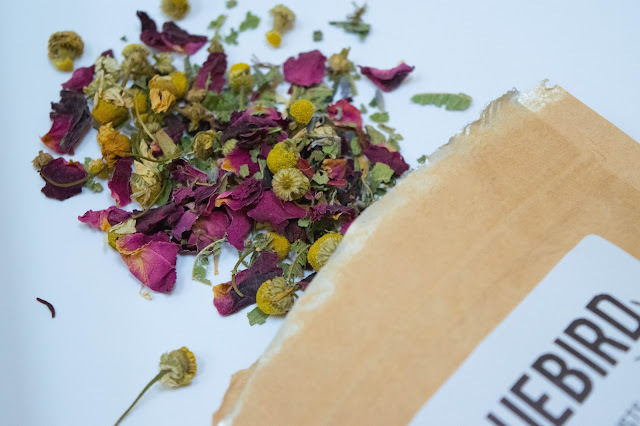 It’s a white tea combined with apple, elderberry, rosehip, pineapple and strawberry – a real fruity treat, just perfect for the summer months. Black Forest is another one I can’t find on the website any more, but I was particularly interested in trying it because one of my all-time favourite desserts is Black Forest Gateaux. As soon as I opened the packet and smelt it, I was in pudding heaven! It’s a Ceylon black tea blended with cocoa shells, hibiscus, apple, elderberry, raspberry, strawberry, blackberry, cranberry, vanilla and sunflower, and has a comforting warmth that’s just perfect for a cosy evening in front of the TV. 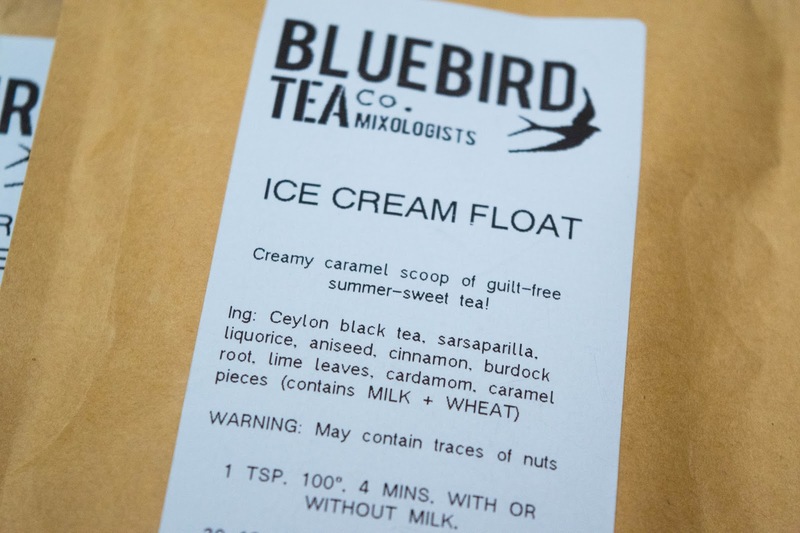 Ice Cream Float is a creamy caramel scoop of guilt-free summer-sweet tea, according to Bluebird Tea. Sadly it’s another one that contains wheat, but is also no longer on the website. I did, however, find a new similar flavour, Jelly and Ice Cream, which sounds amazing! You can enjoy it hot or iced, giving you a scoop of rooibos, sweet vanilla, freeze-dried strawberries and elderberries. What more could you want on a warm summer’s day? Strawberry Lemonade is another tea that’s perfect for the summer months. It’s a great fruity treat and includes a mixture of real strawberry chunks, zesty lemon peel, rosehip, apple, lemon, orange, elderberry and beautiful sunflower petals. 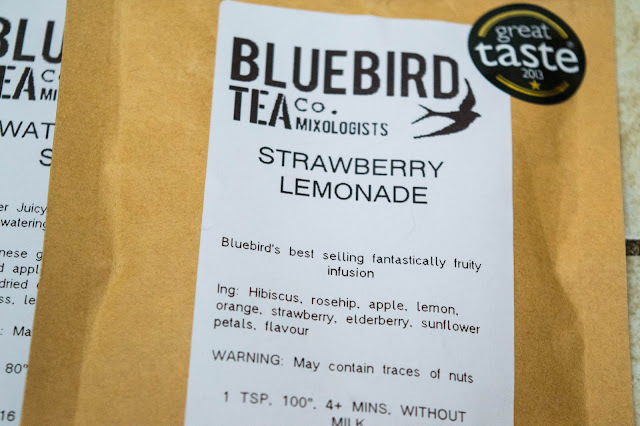 Strawberry Lemonade is one of Bluebird Tea’s best sellers, and it’s easy to see why! 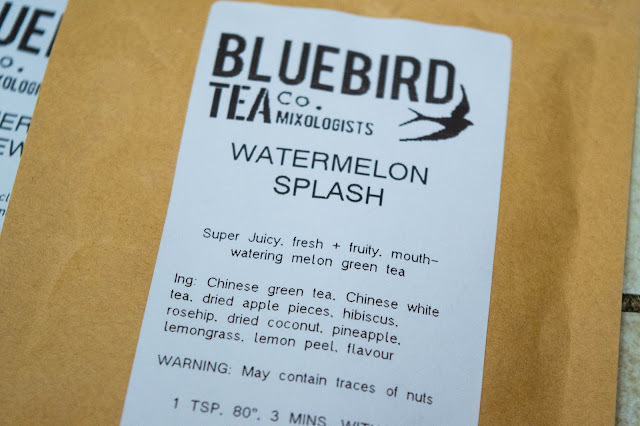 Watermelon Splash is the first green tea in my Bluebird Tea collection. A refreshing blend of green and white tea, bursting with juicy melon and fruit flavours, it’s another great option for the warmer weather, and can be enjoyed hot or over ice. It smells like summer holidays and transports me to tropical beaches whenever I drink it. 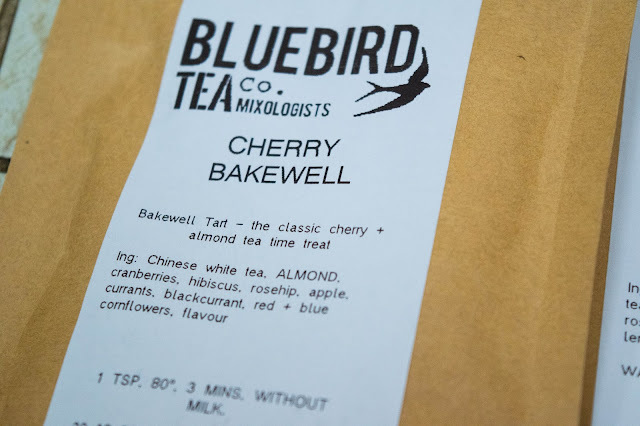 Cherry Bakewell is probably my favourite out of the teas I’ve mentioned, mainly because I’m obsessed with the cakes but shouldn’t really eat them! 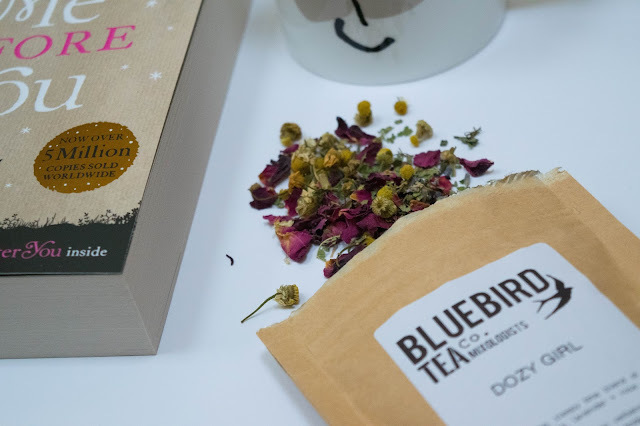 This is a luxury white tea bursting with juicy cherries and hints of sweet almonds, making it perfect for your afternoon tea. 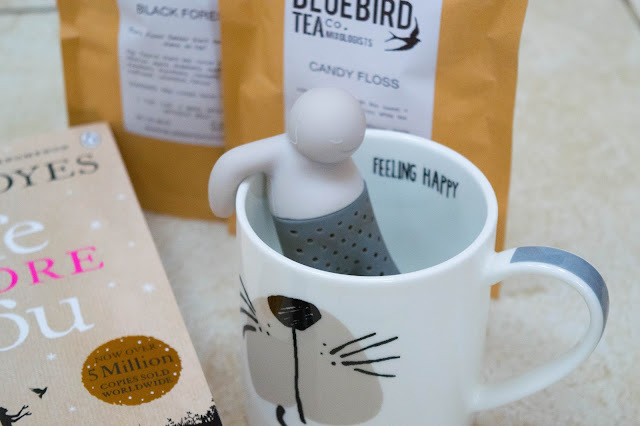 To enjoy these loose teas you will need a suitable infuser, and I particularly love this little guy, who I found on Amazon for a pretty reasonable price. You may find the holes a little big for very fine teas though, so it’s worth looking at the tea you like first before you choose an infuser. One of my favourite things to do is brew myself a hot cup of tea in my favourite mug, then curl up with a good book and just have half an hour to myself. Self-care is so important, even if it’s just taking ten minutes to enjoy your tea (or other hot beverage) without it going cold! 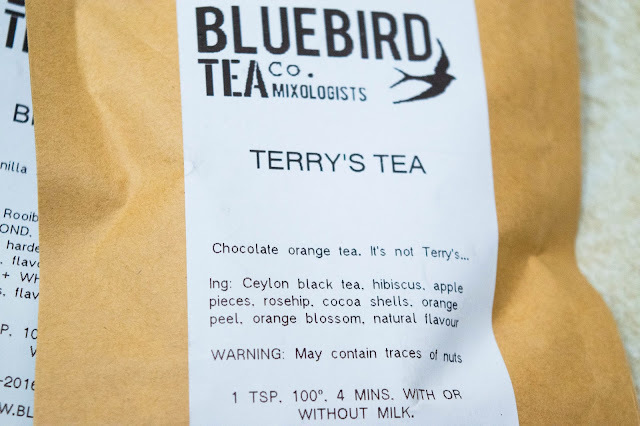 I’ve loved trying out some of these teas from Bluebird Tea Co, and am already browsing through their website working out the flavours I want to try next. I particularly like the look of their Gingerbread Chai, Red Velvet, Hot Cross Bun, Maple Bacon Pancakes, Honey Bee Beautiful and Rhubarb and Custard…do you think I might have a bit of a tea problem?! Are you a tea person, or do you prefer coffee? 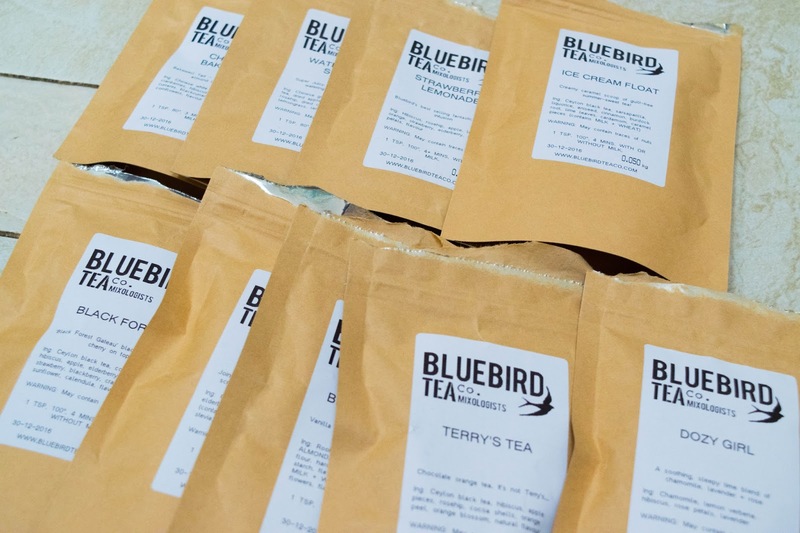 Have you tried any teas from Bluebird Tea Co, and if so, which ones are your favourites?